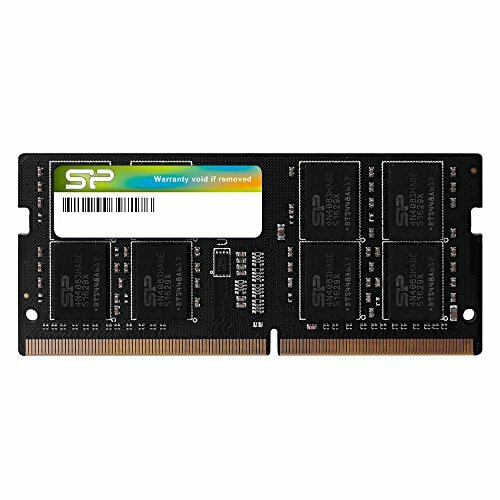 Performance Upgrade to a Higher Level SP DDR4-2400 series provide the higher stability and performance, which allows advanced gamers, multimedia professionals and DIY enthusiasts to experience super-fast data transfer rate with 17GB/s of bandwidth, 33% faster than DDR3 modules. Lower Voltage of 1.2V for a Greener Life The low voltage of 1.2V for DDR4 series can reduce 20% power usage compared to 1.5V for DDR3 modules. Less heat dissipation keeps the computer running at low temperatures, which will greatly improve the stability and extend the life of system hardware.100% Quality Assurance Built using the selected and quality components and 100% tested, SP DDR4 memory modules guarantee the highest standard of stability, durability and compatibility. Lifetime Warranty The memory module is backed by a lifetime warranty. Please register your product via SP official website to get complete manufacturer warranty services, product support and more. Box Contains:1 x Silicon Power 16GB DDR4 memory module.